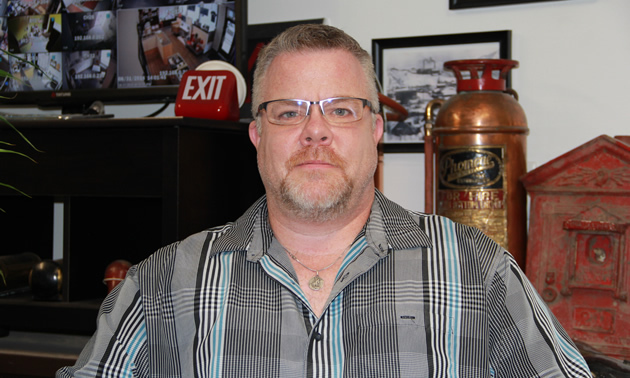 William Trowell opened Selkirk Security Services Ltd. in 2006, and his business success has earned him a collection of awards and accolades from the Trail & District Chamber of Commerce and from this magazine. Selkirk Security’s technical and guard services are thriving aspects of the business, generating positive results for customers and a nice revenue stream for the company. However, the retail electronics store, which opened in 2016, is doing less well. “It’s not actually sustaining itself—it’s not making money,” Trowell said. “But I’m keeping it open because I don’t want to see another empty storefront in downtown Trail. 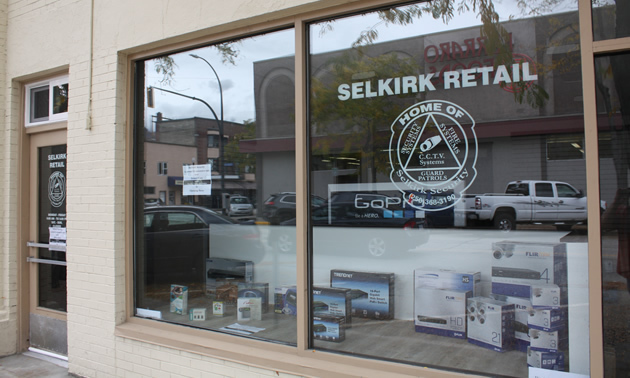 Selkirk’s retail store has a full lineup of security and safety products and services, including camera systems for homes and businesses, fire extinguishers, and the only fire extinguisher recharge depot in Trail. People can stop by the store and see a working CCTV system in action, thanks to on-site cameras. Selkirk Security uses a company called Alarm.com, which allows full integration with alarm systems, including door locks, doorbells, thermostats, lights, garage doors—the owner can control virtually everything from a cellphone. They have cameras that integrate as well, with everything on one app. Trowell said that the latest trend within the security business is the integration of alarm systems with home automation.The market for this next stage in security is growing, particularly with the younger, more tech-savvy generation. To improve service for local residents and to make better use of his retail space, Trowell is actively trying to establish a cellular phone dealership through one of the big providers. Since Trowell purchased the building in downtown Trail, he has improved the building with new windows, better lighting and updated signage. The staff at the Selkirk retail store can inform and educate people and demonstrate products so the customers know what they’re getting and how to use it. Selkirk also has a provincially licensed security consultant on staff, and he is available to do an assessment of homes and businesses to provide a review and recommendations for what can be done to improve safety and security. A state-of-the-art security system at your home and place of business can’t actually make you happy, of course, but it can certainly help you relax. We can’t put a dollar value on peace of mind—our personal security and that of our loved ones and our property has a value beyond numbers. Visit Selkirk Security Services at 1221 Cedar Avenue, Trail, B.C., or www.selkirksecurity.ca.